After retiring from a long career in education, Janet Wahl used her 15-year study of Montague Ullman’s dream work to start a new career. Now she is a ThetaHealing® Master and a certified provider of hypnosis with clients seeking to dig deep into their own dreams. She has three published nonfiction books—Dream Digging Guide 1: Discover the Messages in Your Dreams with the Ullman Method (2015) and Dream Digging Guide 2: Discover the Hidden Beliefs in Your Dreams (2016), plus the Dream Digging Journal (2017) to accompany the second book. 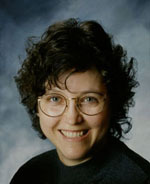 You can find Janet at DreamDigging.net and MindBalance.biz, as well as on Facebook. Give us a summary of the books in your Dream Digging Guide series. 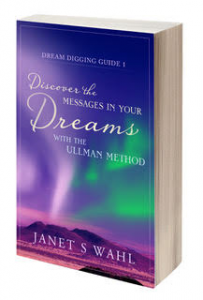 Dream Digging Guide 1: Discover the Messages in Your Dreams with the Ullman Method describes with examples the structured dream group process developed by Montague Ullman, MD. Monte, as he was known to friends, realized that people in psychoanalysis were not making as much progress as he had hoped. Dream work seemed much more effective, so he created a highly structured process that could be facilitated by lay people, those without a mental health license. His premise is that dreams are personalized metaphors invented by our “incorruptible core”; therefore, dream images carry messages that our waking mind, although ready to hear, might be reluctant to hear. A group can help the dreamer discover those messages because we are all connected via the collective consciousness; we all relate to dream imagery. 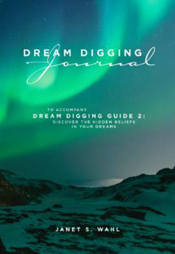 Dream Digging Guide 2: Discover the Hidden Beliefs in Your Dreams provides a step-by-step process to discover subconscious beliefs and verify these beliefs so they can be changed. We are unaware of most of these beliefs, some of which block our potential. For example, our waking mind says we deserve prosperity, but our subconscious mind says, “No, prosperity is dangerous. Someone will rob and kill you if you are successful.” And the subconscious always overpowers our waking minds. It holds these beliefs to keep us safe. Dream images and metaphors along with beliefs come from our subconscious minds. A structured dream journal, Dream Digging Journal is now available to guide dreamers who want to find these beliefs. Only when we find these sabotaging beliefs can we change them, the subject of the forthcoming Dream Digging Guide 3. In sum, each Dream Digging Guide describes a process to discover different concerns. Dream Digging 1 helps the dreamer uncover messages which have yielded solutions to problems, warnings of disease, inspiration for visual arts, music, and film. 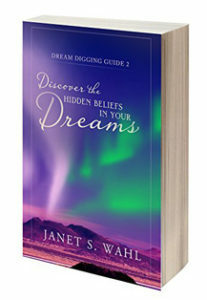 Dream Digging 2 helps dreamers discover beliefs that sabotage success. The ThetaHealing® Technique is an effective method to change unwanted beliefs. What first sparked your interest in the study of dreams? What challenges did writing this series pose for you? Because I wanted to use examples from my life, I had to overcome my reticence of revealing myself and dream meanings. Dreams are very personal, sometimes showing us what we would prefer to hide. I had to get comfortable with sharing my private “stuff” in order to give some powerful examples of the impact dream work had on my life. What was the most rewarding aspect of writing the books? It helped me form dream groups. It is very rewarding to help others discover the meanings of their dreams. Dream messages help people heal physically, emotionally, and spiritually. This was the purpose of writing the books. Tell us how the guides came together. I took my first manuscript to a critique group that read the entire book. Their suggestion was to divide it into three books because each has a different target audience. Dream Digging Guide 1 was my first book, so I had to learn the entire publishing process. It took me a little over a year to refine the first guide, find a cover designer and editor. The second guide took less time because I used the same designer and editor. Dream Digging Guide 3 will contain examples of how ThetaHealing® belief work can change sabotaging beliefs found in dreams. Any “Oh, wow!” moments when doing research for the guides? Do you, or have you wanted to, write other than nonfiction? I never intended to be a writer. I wanted to teach others how to find dream messages and beliefs hidden in dreams. That is my passion and joy. Writing facilitates it. How does someone go about finding a dream group? I conduct dream groups in Albuquerque, so you can be invited to participate to see if it is something you want to pursue. After the trial, I ask for a commitment to come on a regular basis so the trust in the group is maintained. I am also offering online dream groups. Call or email me for more information: janet@dreamdigging.net, (505) 508-5805.